We, Lecker and Yummy Recipes, SchmetterlingWords and Taste of Pearl City, are happily announcing the launch of the much awaited "Healthy Morsels", a joint venture from us. As some of you would have already guessed, the idea behind is very simple - to nourish ourselves healthily. We are faced with different nutritional needs at different phases of our lives. Through "Healthy Morsels", we aim at identifying these needs and to enrich our knowledge how best these needs could be adressed. This is an event with you all for us all. "Healthy Morsels" would be a running program, with every cycle focussing on a particular theme. Each theme would roughly signify a particular stage of human life. Our beloved readers, bloggers and non-bloggers alike, are all invited to cook or bake something, which you consider is best suitable with the theme. That is, you could prepare a food item which is best consumed during that period, write about it and share it with us. Since the objective is to benefit from the wisdom of each other, it would be great if you could share useful health tips and the nutritional benefits of your food in accordance with the theme. At the end of each cycle, we would post a round up of all the shared entries for the theme, which would be a reference source for everyone in the future. Excited with the idea and wish to be part of "Healthy Morsels"? Of course, you would be having questions. We love questions!! We have tried to answer some of them below. You can share with us a recipe for a food item, which could be a starter or a beverage, a main meal or a dessert, even cookies or other goodies. We accept both vegetarian and non vegetarian recipes.The only criteria is that it should match with the theme in focus. Sharing of additional information about the health benefits along with the recipe is appreciated. Archived recipes are accepted too, if you think it matches well with the theme. There are no limits to the number of entries you would like to share. A new theme for "Healthy Morsels" would be announced every two months, on the first day of a month. You could share your recipes from the day of announcement till the 15th of the following month (totally 45 days). We would be preparing the round-up and posting it in two weeks time. At the start of the next month, a new theme would be announced. If you are a blogger, after posting your recipe in your blog, you can link your post with the help of the Linky tool found at the end of the announcement post. Since it is a team event from the three of us, you can link it to any of our blogs. It would be automatically linked to all the three blogs. Yes, we have thought out a few simple rules, which would just help us to better organise. Your recipes have to be linked back to either one of our announcement pages. We highly appreciate the use of our logo, so as to spread the word. Archived posts should be updated with the link back to the event announcement. Strictly avoid linking recipes which include pork, alcohol and gelatin. 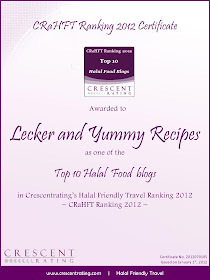 Bloggers are requested to refrain from posting your recipes at the FB page and use the Linky exclusively. This would give room to other readers who do not have a blog to share their ideas too with us. Apart from the implicit benefit of getting to know about different ideas, new recipes and useful infos, "Healthy Morsels" does come with a fun factor. At the end of every cycle, we would be publishing the round up of all received entries. Among them, we would select three entries, based on the relevance to the theme and the beneficial content provided. These special entries would be finding their place in our "Healthy Morsels - Hall of Fame" - an appreciation to the ones who have excelled. The "Healthy Morsels - Hall of Fame" would be published in our blogs as well as in our Facebook Page and it would remain there forever. Members entering the "Healthy Morsels - Hall of Fame" would receive a special Badge as an acknowledgement. At the end of six cycles, we would be having totally 18 members in the "Hall of Fame", three for each theme / category. We would be conducting a poll for public voting for these nominees, where one winner for each category would be selected based upon the number of votes received. These 6 winners would be receiving a special recognition, which remains a secret at this moment. At any time, feel free to contact us with your queries or concerns at our gmail ID: healthymorsels@gmail.com. We would try to answer as soon as possible. Apart from that, you are heartily welcome to share your suggestions and likes in our FB page too. Well, what is the first theme? Our first theme goes "Pregnancy", an extra-ordinarily special phase of human life. Carrying a new life within, the most beautiful moment for a woman, is exciting as well as thrilling. Our taste buds start right from the mother's womb. A woman is clouded with different thoughts and emotions during this time. The physical and emotional balance of a woman is very decisional for the healthy development of the child within. So, you mothers and mothers-to-be, share with us the sweetest moments you have experienced before, during and after your Pregnancy, how good you nourished yourself, what did your mothers advise you to eat and how beneficial was the food intake for you. All men out there, feel free to share your experiences like what you cooked specially for your carrying wife / partner, how excited are you about your new arrival, etc. with us. Please link your entries from March 1, 2012 to April 15, 2012. Good nutrition should always be a priority, but when you're having a baby it becomes even more important. After getting pregnant the first thing that a woman thinks is to eat well so that she and her baby have a healthy and relaxed pregnancy time. While in pregnancy, all the nutritional needs are increased in order to meet the needs of the developing baby, it is vital to stick to good health habits. She needs lot of stamina to deal with the early pregnancy symptoms like fatigue, nausea and morning sickness and also for enduring the various pains and to have a safe delivery. Also, pregnancy is the time when her eating habits during these magical 40 weeks directly affects another life. The decision to incorporate wise food choices into her eating plan before and during pregnancy will give proper strength to her uterus for holding the fertilized egg, will help to promote a healthy environment for her baby, normal birth weight for the baby, improved fetal brain development, a speedy recovery of the body after delivery. We all want to give our children the best start in life, so it’s not surprising that a lot of pregnant women get a little panicky about what they should and shouldn’t be eating. It is also this time, the people who love and care for her will also advise what to eat and what not to eat. She enjoys this special attention for the next nine months and even after that :). Some important steps to a healthy pregnancy include eating a balanced diet; gaining the right amount of weight; enjoying regular physical activity; taking a vitamin and mineral supplement if recommended by a physician; and avoiding alcohol, tobacco and other harmful substances. It is better to eat healthy rather than eating anything! Folic Acid: It is essential for the normal development of the baby's spine, brain and skull, especially during the first four weeks of pregnancy. It is, therefore, important to start taking vitamin supplements with Folic Acid before one gets pregnant to reduce the risk of neural tube defect. Sources include fortified foods like cereals, pastas and breads, supplements and natural food sources of folate. Celery and Spinach are great sources of folic acid and iron. It is advised to consume spinach in its natural form without overcooking and thereby not destroying the folic acid. Other folic acid rich foods include Brussels sprouts, broccoli, cabbage, parsnips, eggplant and asparagus, fruits like papaya, kiwi, dates, figs and even bananas. The best way to get the most of the folic acid is without cooking, just to fix up a bowl of salad with a tasty dressing and enjoy. Whole grains: High-fibre breakfast cereals, brown or wholewheat breads and rolls, maize meal or oats porridge, brown rice, pasta, cereals, and brown rice. Whole fruits: Apples, pears, peaches, nectarines and melon. Since acids can cause heartburn, caution should be taken with the amount of acidic fruits intake like oranges, pineapples, lemons and limes. Vegetables: Leafy greens, bell peppers, eggplant, squash and mushrooms, spinach, broccoli, zucchini, dark green lettuces, green beans, asparagus. Healthy fats: Extra-virgin olive oil, walnuts, almonds and avocados. Protein: Chicken, fish, beef, red meat, turkey, tofu, nuts, legumes (beans), milk, eggs, cottage cheese, whole grains, wheat gluten, soy cheese. Iron: Maternal iron deficiency anemia is a pregnancy risk. High-iron foods include spinach, leafy greens, beans, fortified cereals, red meat, chicken and fish. Vegetarians can increase iron absorption by combining plant-based sources of iron with vitamin C-rich foods. For example, spinach salad with mandarin oranges or cereal with strawberries. Calcium: During pregnancy, calcium is needed for the healthy development of a baby’s teeth, bones, heart, nerves and muscles. When a pregnant woman does not consume enough calcium, the developing baby takes it from her bones. Calcium-rich foods include low-fat or fat-free milk, yogurt or cheese or calcium-fortified cereals and juices. Magnesium : Whole grain breads, cereals, brown rice, nuts, tuna,eggs, spinach, whole-oat oatmeal, black tea, strawberries, avocados. Foods that could be avoided : It is better to avoid extra calories from added sugar and fats, which can lead to unhealthy weight gain. Cutting down on foods like regular soda, sweets and fried snacks is advisable. Some cheese are unsafe during Pregnancy. For details, please refer here. Post Delivery: A mother's diet immediately after delivery not only determines which nutrients her little one gets, but her food choices can also affect her entire breastfeeding experience. Her diet impacts the amount, taste and quality of milk she produces. Zinc, calcium and iron are some nutrients critical to breastfeeding. Drinking atleast six to eight cups of liquids like water, milk or juice helps with milk production and prevents dehydration and constipation; limiting caffeinated beverages like coffee, tea and soda which pass through the breastmilk causing the baby irritable and fussy; avoiding alcohol,smoking and second hand smoking which interfere with the milk flow and is dangerous to the health; taking a multivitamin supplement thats is specially formulated for breastfeeding moms are some of the things to be taken care of. There are many pregnancy diet recommendations, but we believe a diet should be individualized to a person’s unique physiology. Please always consult a registered physician before planning on any diet as pregnancy affects every woman differently. This information is solely for informational purposes. IT IS NOT INTENDED TO PROVIDE MEDICAL ADVICE. A wonderful idea and a great theme to start with. Definitely this event will useful for all pregnant women. Thank you Jaleela for your motivational words !!!! Thats so nice of u to say so :) As said, its the event WITH U ALL for us all ! Hoping and wishing your continuous support and enthusiastic participation for reaching our intended goal of this event ! Such a Great Event. Sure I'll forward to my friends and relatives. Assalalmaleikum, I have linked my recipe for Beetroot Raita. Yogurt is a rich source of calcium and probiotics while beetroots are rich in folic acid, magnesium, potassium, vitamin C and soluble fibre, making this simple condiment a really healthy choice during pregnancy. Moreover, it's extremely quick and easy to prepare as a dip for store bought pita/raw veggies for those weary preggo days when hardly feels like cooking anything elaborate. Nice article and great knowledge. Thanks for the share. I love this story and enjoy with your words!we all are waiting for your healthy recipes.